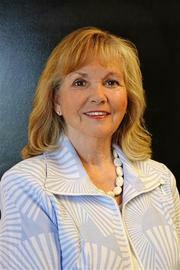 Sylvia Shirley has held a realtor’s license since 1989, and a broker’s license since 1998. Her knowledge and experience encompasses Historic properties, Luxury properties, Commercial and Land, and New Construction. Sylvia graduated from Oklahoma Baptist University with a Bachelor of Science in Nursing. She enjoyed a successful career in the medical field before turning her attention to Real Estate. She was married to the late Jack Shirley, M.D., and served for many years on the Founding Board of Hospice of Oklahoma City. She is past-President of the Oklahoma City Medical Alliance, and founded the ongoing annual Kitchen Tour which benefits the Alliance. She also served as the committee Chairman for the tour’s 10th anniversary. Sylvia holds a Master’s Degree in Divinity, is ordained in the Episcopal Church, and serves as Vicar in a nearby community. Her goal has always been to serve people with respect and honesty. She is currently the Managing Broker for Kirkangel Inc. in [Artspace] at Untitled, 1 NE 3rd Street, downtown Oklahoma City.